Underfunding of higher education harms the Golden State’s economy, according to a new report from the California Budget & Policy Center. Though a direct state budget-economy link involving higher education across the U.S. is unclear, California’s case is instructive. First, we look at the numbers. "Per student spending at the CSU and UC are well below pre-recession levels and are significantly below the funding request from each institution," according to Amy Rose of the CBPC. This per-student spending trend calls into question the character of the economic recovery in the Golden State since the Great Recession ended in June 2009. There is a history here of note. Under the California Master Plan for Higher Education, free public higher education for state residents to attend community colleges, state colleges and public universities began in 1960. Ten years later, Republican Gov. Ronald Reagan would cut higher education spending and set the stage for tuition-based funding. This method of paying for public higher education that compels households to borrow money and become debtors to creditors has become the “new normal,” and a critique of the Occupy Wall Street movement. Do you want proof that student loan debt for higher education has soared? We turn to the nation’s central bank, whose interest-rate policies determine the price of money. 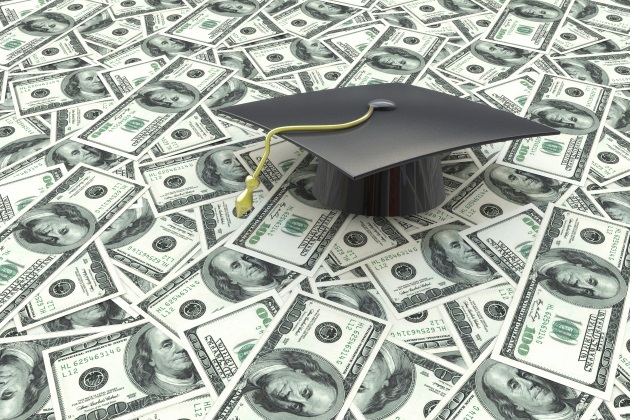 According to the Federal Reserve Bank, student loan debt reached $1.5 trillion in the first quarter of 2018 versus $619 billion in first-quarter 2008. This borrowing for higher education trend is a near tripling of student loan debt across the U.S. Returning to California, what politicians are not spending on higher education has other impacts. "This state disinvestment in higher education landslides into an underdeveloped workforce that undercuts California’s economic competitiveness, weakens tax revenues, and diminishes the educational, career, and life outcomes for students," according to Rose. Her report found that the California State University and University of California systems turn away approximately 40,000 qualified students each year because of underfunding. While some of these qualified students enter higher education outside of California, one thing is clear. They pay more as out-of-state residents. Further, the students that defer higher education or opt out of it entirely face dire consequences that affect them and others. Higher education is the ticket to increased wage-income, a path for upward mobility. The annual earnings of Californians with bachelor’s degrees is $87,000, more than double that of high school graduates’ $41,000, reports the Public Policy Institute of California. Accordingly, fewer CSU and UC graduates cuts the amount of money that workers with four-year degrees spend on goods and services, an engine of income and sales taxes that in turn fund public services. Such dynamics lower gross domestic output, a standard metric of growth. What to do? For starters, California lawmakers can consider higher education funding as a part of a broader whole. "Current budget and policy conversations around higher education funding are often short-sighted and tend to overlook the reality that chronically underfunding our public universities leaves deserving students behind and also impedes our state’s economic growth," according to Rose.